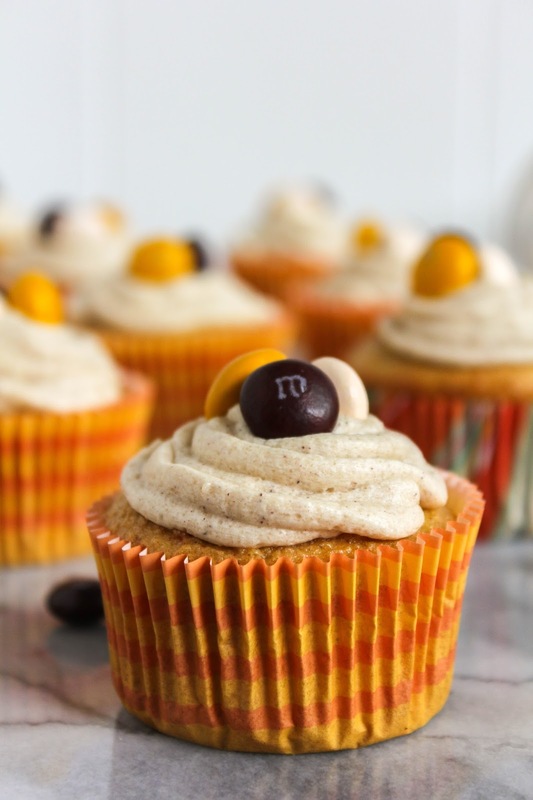 These fun, Fall inspired cupcakes are filled with my favorite spices and topped with a deliciously sweet brown sugar frosting! I know technically it's still summer, but the weather here in Michigan this week has been very Fall-like. 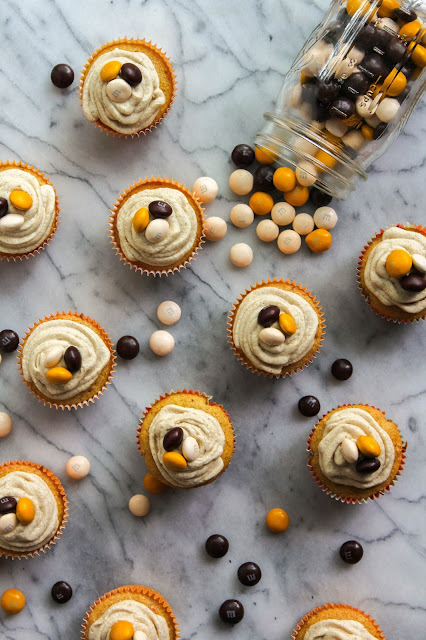 Fall is definitely my favorite season - cooler temps, warm sweaters, football, the changing colors, and of course Fall baking! There is nothing quite like the aroma of cinnamon, pumpkin and nutmeg wafting throughout my house. Every year I can hardly wait until the weather cools off just enough to start my Fall baking. And I love trying out new seasonal products that come out each year too. I'm sure you can imagine just how excited I was when I discovered that M&M's® came out with a new Pecan Pie flavor for Fall. Pecan pie, people. PECAN PIE! So of course I bought myself a bag (okay, I bought two! ), and jumped into the kitchen to create something new and delicious. 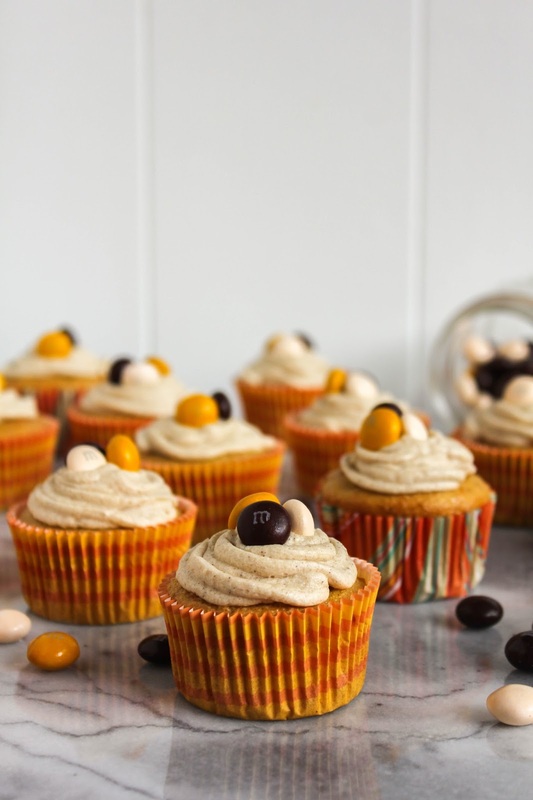 The new M&M's® Pecan Pie are so tasty that I decided to create a fun, Fall themed spice cupcake, topped with a delicious and creamy brown sugar frosting. I ate two in one sitting right after I finished frosting them. Don't judge me, they are just that good! Have you tried the new M&M's® Pecan Pie yet? 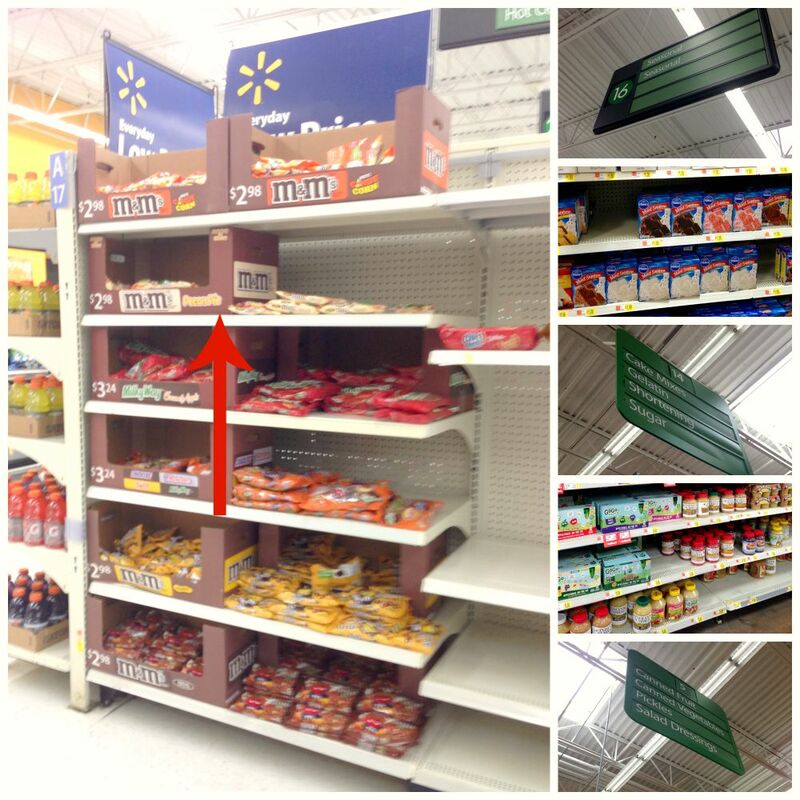 They are hitting Walmart shelves this week, so be on the lookout! Here's a coupon to use, too! 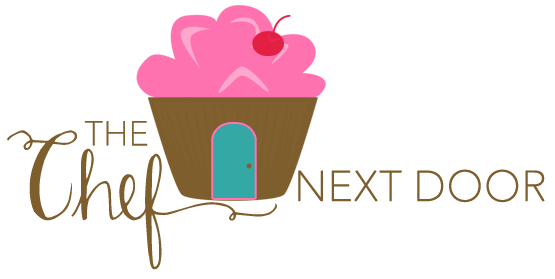 What is your favorite Fall dessert recipe? I'd love to know, so share with me in the comments! Preheat the oven to 350 degrees. Add cupcake liners to the wells of 24 muffin tins and set aside. 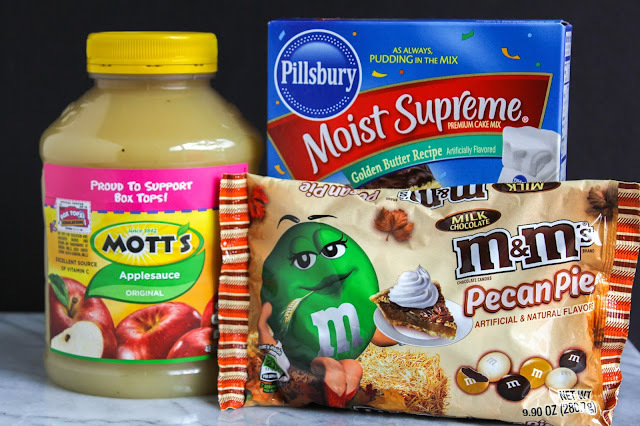 In a large bowl, add all of the cupcake ingredients, except for the M&M's®. Whisk the ingredients until well combined. Fold in the M&M's®. Pour the batter into the prepared muffin tins. Bake the cupcakes for 18-20 minutes, or until the cupcakes are lightly browned and the tops spring back with gently touched. Allow the cupcakes to cool completely on a cooling rack. While they are cooling, make the frosting. In the bowl of a stand mixer, beat the butter, brown sugar and cinnamon on medium speed until light and fluffy. Slowly add the powdered sugar, in batches, then the milk and vanilla. Mix on high until completely combined and smooth. Once cupcakes are cooled, spread frosting on each one. Place three M&M's® Pecan Pie on top of each cupcake. Serve immediately. Leftovers can be stored covered, in the refrigerator, for up to 5 days. 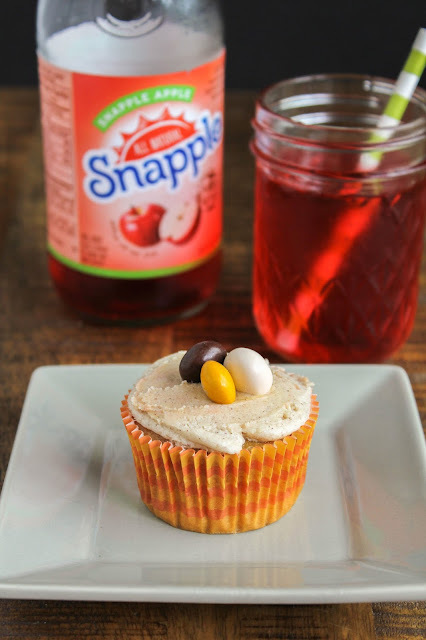 Be sure to enjoy your cupcake with a bottle of cold Snapple® Apple! 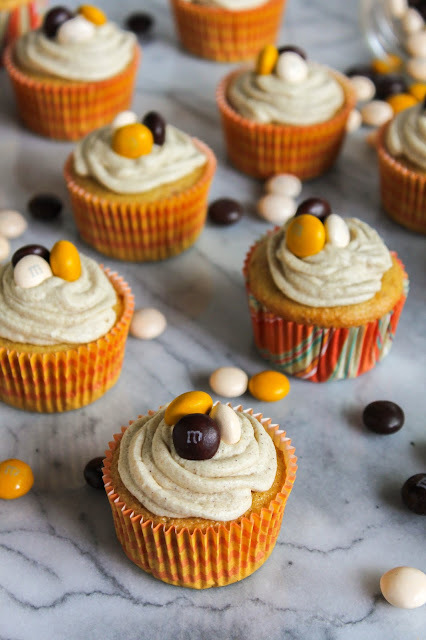 It's a perfect drink for the Fall themed cupcakes. You can find everything you need to make these delicious cupcakes at your local Walmart store! I found the M&M's® Pecan Pie in the Seasonal aisle, but I was told there will also be a large display in the center of the store very soon! You can also find the Snapple® Apple Single 16 oz. 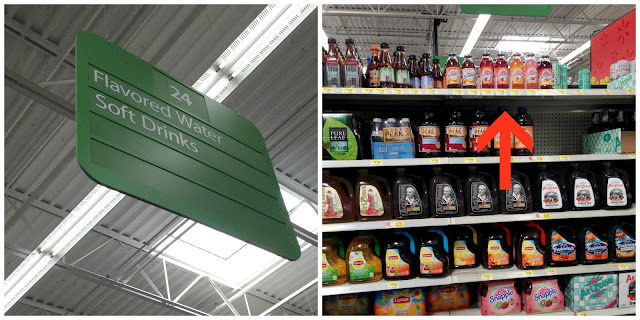 in the Soft Drinks aisle at Walmart!